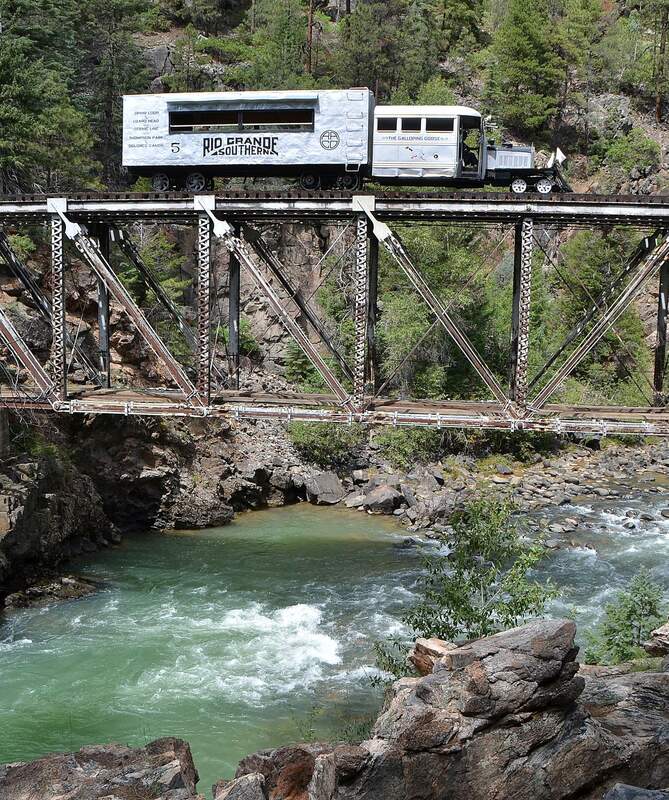 The Galloping Goose crosses a trestle bridge above the Animas River on a trip up to Cascade Canyon in 2013. Winter trips to the canyon are planned for Feb. 18 and Feb. 19. For the first time in more than 60 years, the Galloping Goose No. 5 will make a winter-time excursion. Managers of the restored rail bus are working with the Durango & Silverton Narrow Gauge Railroad for a Durango to Cascade Canyon run Feb. 18 and Feb. 19. The rare excursion is part of the railroad’s winter photography weekend special. To make the trip more authentic, the Galloping Goose Historical Society is borrowing a snowplow from Goose No. 6, which is displayed at the Colorado Railroad Museum in Golden. Tickets for Feb. 18 are $119 and include photo run-bys and a tour of the Tacoma Power Plant. Tickets for Feb. 19 are $189 and include six photo run-bys, breakfast pastries, lunch and beverages.